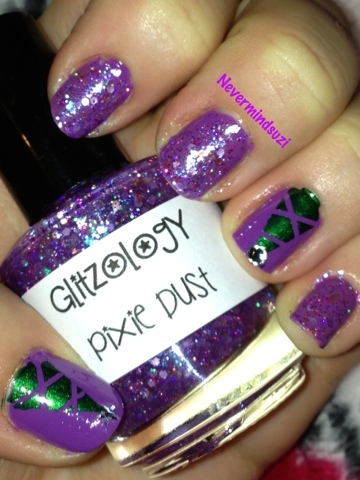 Another Glitzology beauty for you today - Pixie Dust. 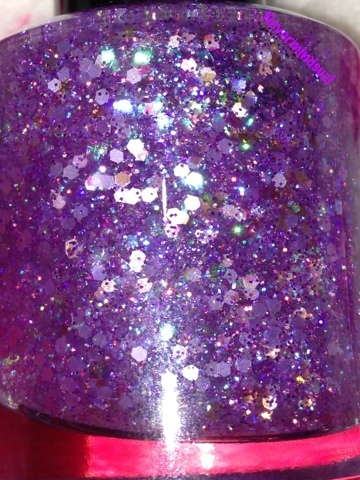 For the undies I used 2 coats of Nails Inc - Little Miss Naughty. 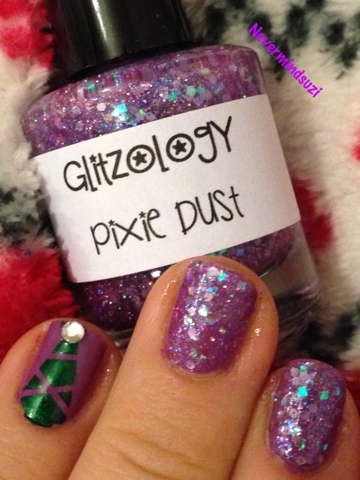 Followed by 2 coats of Glitzology - Pixie Dust. I also added a little Christmas Tree to my ring & thumb using Nails Inc - Emerald Street with little decal tree toppers. 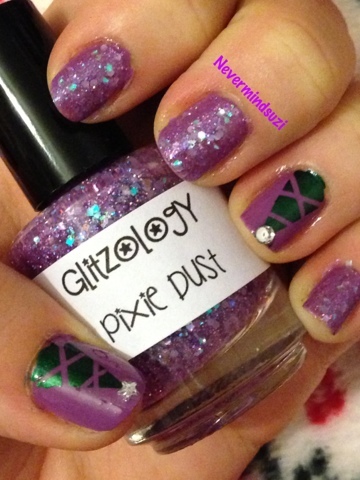 As you can see Pixie Dust is a clear jelly full of square flakies that shift from silver, to lilac to an aqua blue. 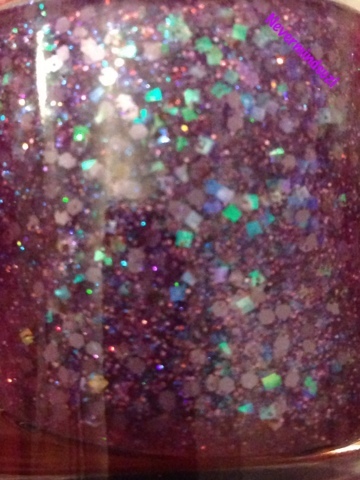 It's also full of a micro glitter full of purples and pinks as well as hints of aqua blue. Such a delicate and pretty colour. 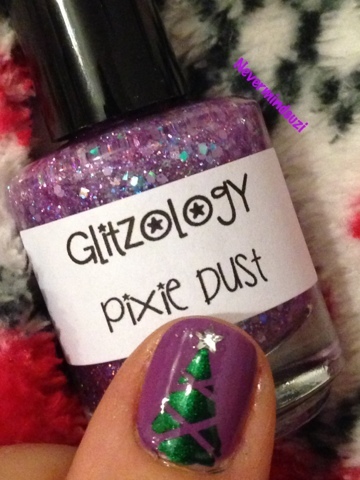 And perfect for any time of the year. Have you picked up any of these beauties yet?